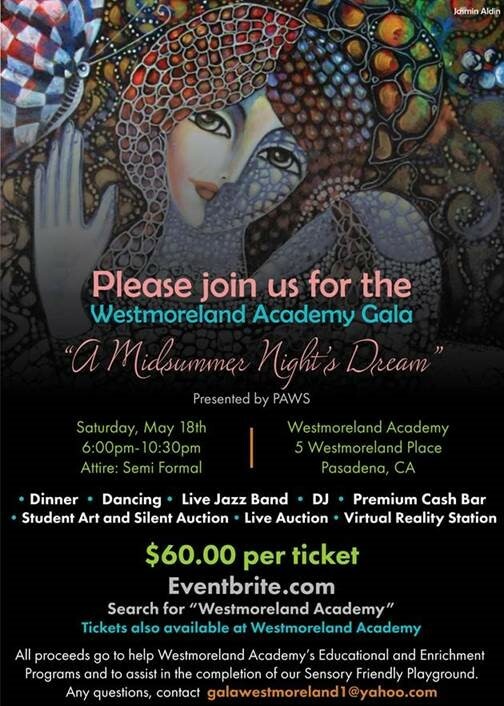 The Parents at Westmoreland (PAWS) are putting on their first Gala to raise funds for the educational and enrichment programs on campus, and to assist in the completion of our sensory friendly playground. Please Click Here to purchase tickets to this amazing event through Eventbrite. Tickets are also available at the Westmoreland Academy campus.